January 18, 2016 –Pensacola, Fla.—The National Naval Aviation Museum, located aboard Pensacola Naval Air Station, welcomes winter visitors with several seasonal events this January and February. To kick things off, the Museum is hosting its annual Snowbird Fly-In Expo on Tuesday, Jan. 26 from 9 to 11 a.m. Winter visitors are invited to receive information from local organizations as well as special offers on Museum attractions, while enjoying delicious coffee and pastry samples. Spend $25 at the Flight Deck Museum Store and receive a free tote bag and enjoy buy one dessert, get one free at the Cubi Bar Café. Interact with exhibitors from Naval Aviation Museum Foundation, Santa Rosa Island Authority, Council on Aging of West Florida, Pensacola Beach Chamber of Commerce, Pensacola Lighthouse and Museum, Naval Hospital Pensacola, University of West Florida Historic Trust and NAS Pensacola Starbucks. Don’t forget to get your photo taken in front of our special Blue Angels backdrop. Grab your friends and family and have them join in. Photos will be uploaded to the National Naval Aviation Museum’s Facebook page, to download, print or share with your friends and family. The Snowbird Fly-In Expo is free and open to the public. 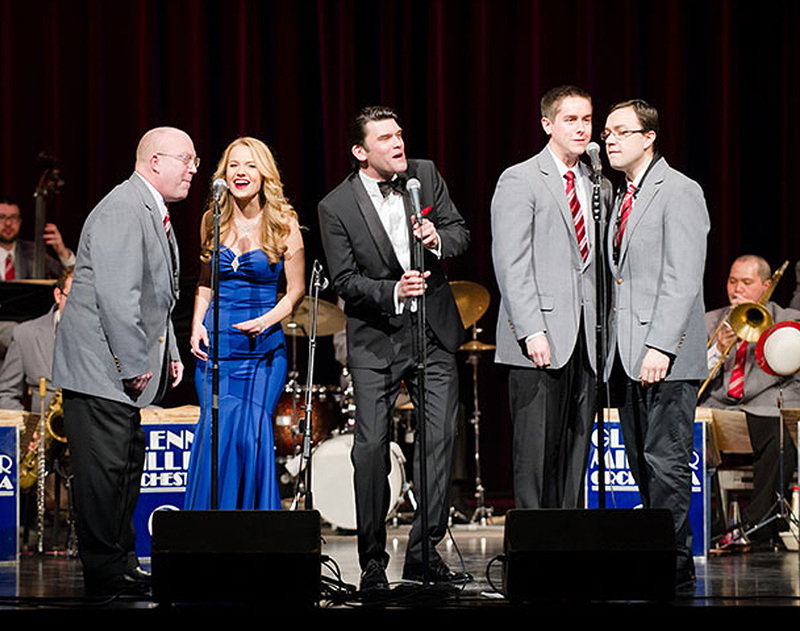 Following that, Big Band “swing” music returns to the Museum on Thursday, Feb. 4, with The Glenn Miller Orchestra. Tickets are on sale now for the 7 p.m. show in the Blue Angels Atrium at the National Naval Aviation Museum. The world-famous orchestra, a fully self-contained 19-member group, is the most popular and sought after big band in the world today. Since 1956, the present group has been consistently performing an average of 300 live dates each year worldwide. Come hear one of the greatest bands of all time as they bring unique jazz and big band sounds to the National Naval Aviation Museum. Next up, the United States Air Force Band of the West will present a concert at the Museum on Sunday, Feb. 7, at 2 p.m. The free performance is family friendly and open to the public. The concert band is a 45-member ensemble that represents the Air Force by performing for formal military ceremonies, educational clinics and public concerts throughout the Southern United States. Its repertoire ranges from Renaissance through the present day, from symphonic band literature to Broadway musicals, and from John Philip Sousa marches to today’s popular hits. Lastly, every Tuesday in February, visitors get the chance to take a peek behind the scenes at Museum artifacts rarely seen by the public while enjoying Chik-fil-A breakfast and freshly brewed Starbucks coffee. Breakfast and Behind-the-Scenes will be in the Blue Angels Atrium and doors will open at 8 a.m. Cost for breakfast is $5 per person.